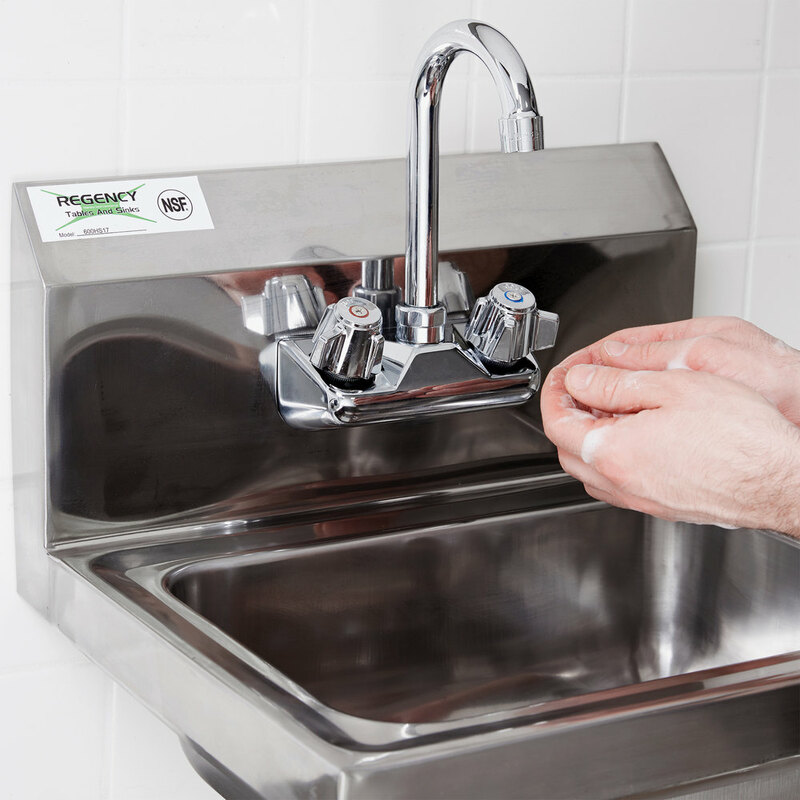 Pass health inspections while following HACCP guidelines with this Regency SEHS-17 wall mount hand sink! 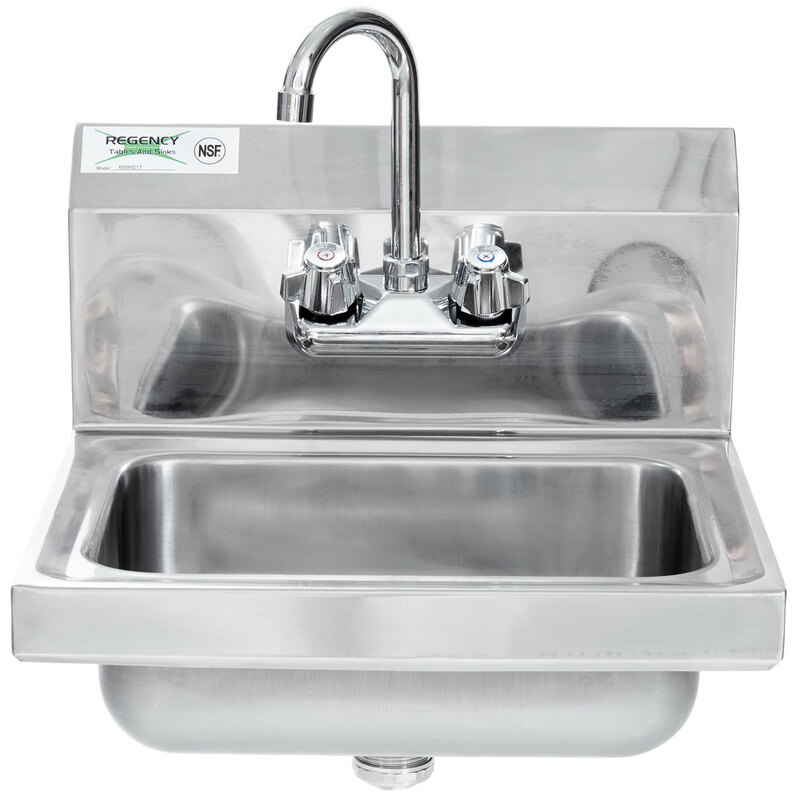 This hand sink is made of type 304 stainless steel for long-lasting durability, and includes the Regency 8" gooseneck faucet on 4" centers so you can immediately start using it when it arrives at your business. 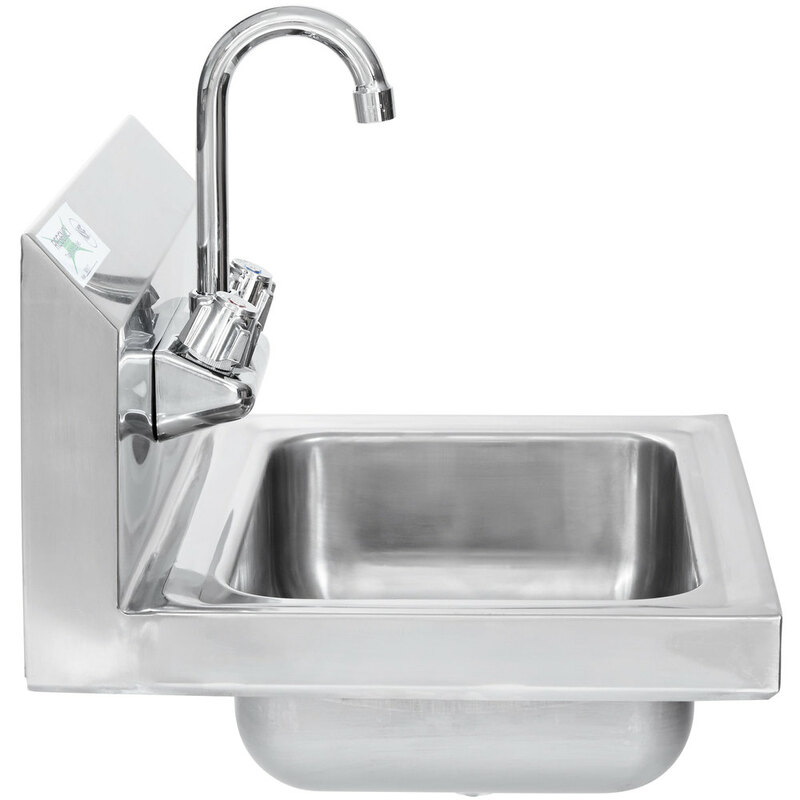 This stainless steel hand sink features a 14" x 10" bowl which provides plenty of room for hand washing. 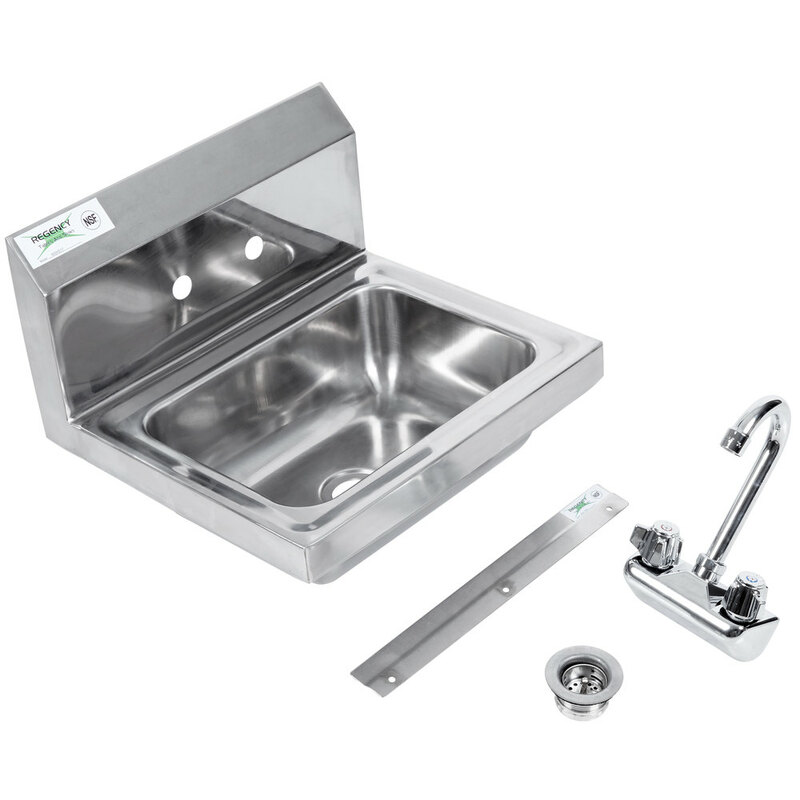 It also includes a 1 1/2" IPS drain, ensuring that stagnant water won't collect. 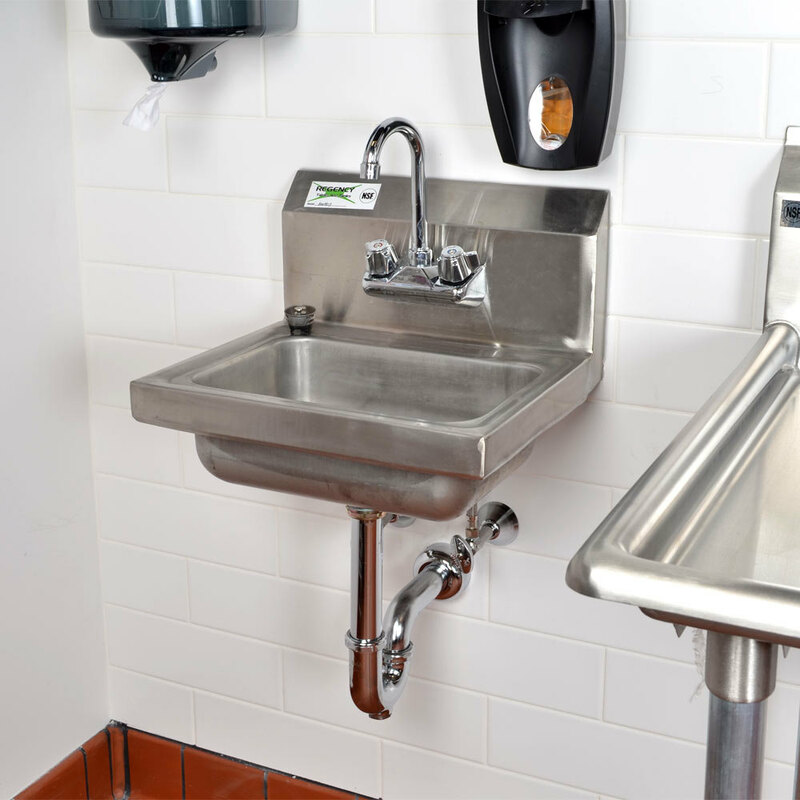 This sink also comes with a wall clip and requires three screws for installation.